With Dine Alone Records turning 10 this year, the Canadian label recently launched its series of limited-edition DA10 releases with an old project from City and Colour's Dallas Green. Now, the label has unveiled the second album in the series: a double-EP comp from Attack in Black. The First and Second Efforts of a Band That Died Before You Could Kill Them will be released on March 17. This Ontario band were one of Dine Alone's first signings. The lineup featured singer-guitarists Daniel Romano and Spencer Burton, plus bassist Ian Kehoe and drummer Ian Romano. A press release notes that "their musical approach that merged the spirit of old school rock'n'roll with modern day punk rock." 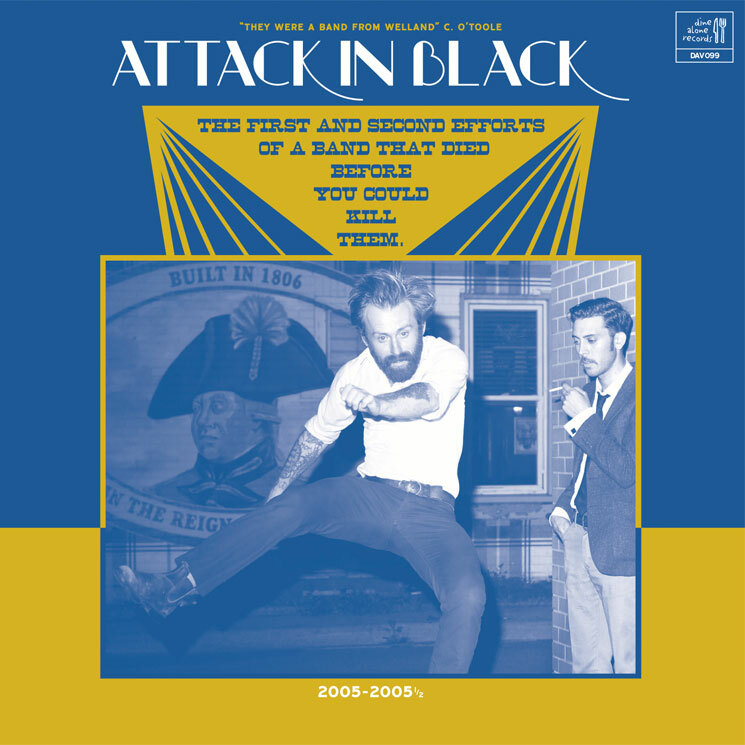 Their EPs Attack in Black (2005) and Windows (2006) have been compiled here to form a vinyl LP. It runs at 45 rpm and is limited to 550 black copies and 200 clear yellow copies. The yellow versions are exclusive to the DA10 Vinyl Bundle Pt. 1. The EPs will also be available digitally. Pre-orders for The First and Second Efforts of a Band That Died Before You Could Kill Them will begin here on February 17. Alternately, Vinyl Bundle Pt. 1 will be available pre-order on the same day. After these EPs, the band went on to release three full-lengths before quietly parting ways. Daniel Romano has since launched a solo career, Burton recorded as Grey Kingdom before switching to his own name, and Kehoe goes by Marine Dreams. Ian Romano's name also still pops up on various releases.